We’ve all experienced that glorious moment when suddenly the ability to breathe is restored as our sinuses drain after suffering through a cold or flu bug going around. What if there were a way to experience this euphoria naturally, without the assistance of drugs? The total sensory experience known as salt therapy is an age-old alternative therapeutic remedy to treat many respiratory ailments. Scott Wertkin, the owner of The Salt Cave (Minnesota’s first therapeutic salt cave), stumbled on the idea of salt therapy somewhat randomly. While on vacation with his wife, Wertkin was watching television and saw a news story regarding salt therapy and its benefits. 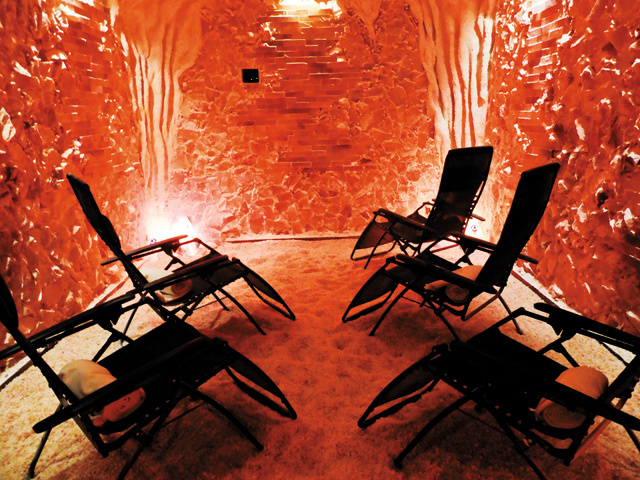 Salt therapy (also known as halotherapy), has been used for centuries to alleviate symptoms of asthma, allergies, respiratory problems, anxiety, and other ailments along with skin benefits. You’ll notice the difference in the caves compared to other treatment centers immediately. Your bare feet slide across the pebble-like floor covered with 4,000 pounds of Himalayan salt crystals. The walls around you are lined with pink and orange-hued bricks of salt. As you slide into one of the zero-gravity chairs, you hear soft, soothing sounds streaming from overhead speakers. As you relax and your breathing slows and deepens, you inhale air pumped with pharmaceutical-grade salt. After a few minutes, you touch your tongue to your lips and taste salt. 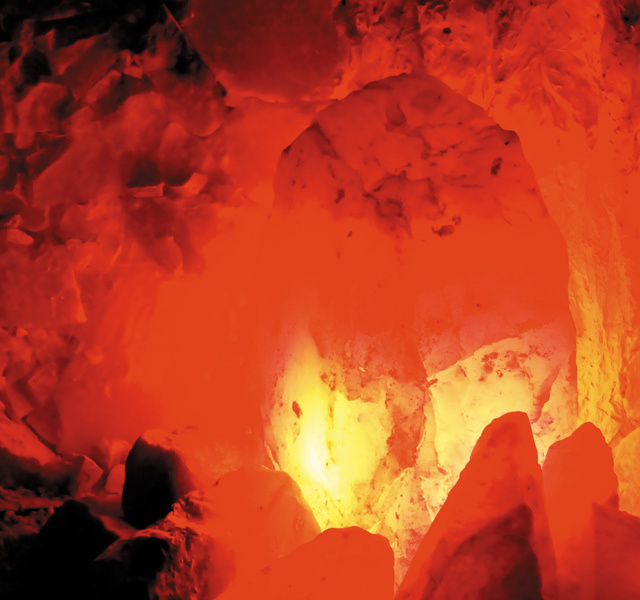 The Salt Cave is a one-of-a-kind place designed to promote and support relaxation and general wellness. The walls and floor were constructed by hand using more than six tons of pure Himalayan crystal salt, and the air in the cave is treated by a specialized halogenerator, which infuses the air with a dry aerosol containing tiny particles of pharmaceutical grade salt. According to Wertkin, clinical studies have shown that when people inhale this type of salt air, it can help to stimulate the natural ability of their respiratory system to reduce inflammation, fight infection, clear blockages, and reduce discomfort. Visitors typically spend each 45-minute session relaxing in a comfortable zero-gravity recliner. Alternately, special group sessions might include yoga/meditation or storytelling for kids. In all cases, the primary source of respiratory benefit is the inhalation of the cave’s specially treated salt air.